South Jakarta Muslim Charitable Donations Board (BAZIS) will renovate 65 resident houses. Houses owned by disadvantaged residents and not habitable will be renovated.
" House renovation will be held on October 31, 2017. Budget for each houses is Rp 40 billion"
South Jakarta Bazis Head, Sutriana Lela said, those houses are located in 10 sub-districts in South Jakarta. "House renovation will be held on October 31, 2017. 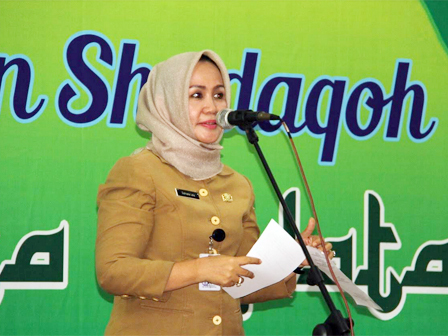 Budget for each houses is Rp 40 billion," she expressed, Monday (10/30). She added, house renovation budget for this program is Rp 2.6 billion. It was collected from ZIS (Zakat Infaq Shadaqah) fund 2016. Those houses were proposed by each urban villages. "Besides renovating houses, we will give assistance to 417 mustahiqs from 10 urban villages which have not received assistance before," she closed.